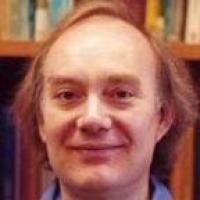 Professor Richard G. Palmer is currently working on theories of statistical mechanics. He is interested in the application and development of statistical physics methods for many types of complex systems, including glasses and spin glasses, neural networks, genetic algorithms, and economic markets. The long-term goal of his work is to establish firm theoretical foundations for understanding the emergence of structure, complexity, and computational ability in driven systems of interacting adaptive components. He is also author of two books on the theory of neural networks and on the theory of extinction. M.E.J. Newman and R.G. Palmer (2003). Modeling Extinction.. Oxford University Press.